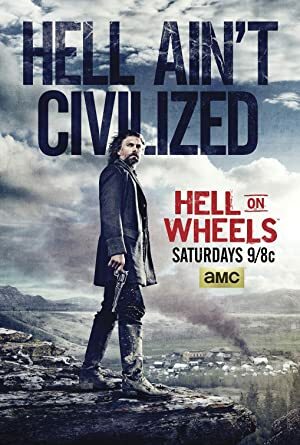 Hell on Wheels – Season 5 – Part 2 (2016) – What's New on Netflix Canada Today! Cullen Bohannon, a former soldier and slaveholder, follows the track of a band of Union soldiers, the killers of his wife. This brings him to the middle of one of the biggest projects in US history, the building of the transcontinental railroad. After the war years in the 1860s, this undertaking connected the prospering east with the still wild west. Cullen finds a route through the mountains to Ogden, Utah. Cullen enlists new workers to help him move a locomotive on a sled; Cullen and Fong must work together; Swede and Phineas fight for survival after being banished to the high country.